For some people, memorizing a few keyboard shortcuts are easier than figuring out chords of a song. These shortcuts will make you figure out the song even faster (Yes I think keyboard shortcuts are generally a little bit easier than chords). Riffstation's default keyboard shortcuts can be changed under Options > Set keyboard shortcuts. On Mac, Press Option instead of Ctrl. 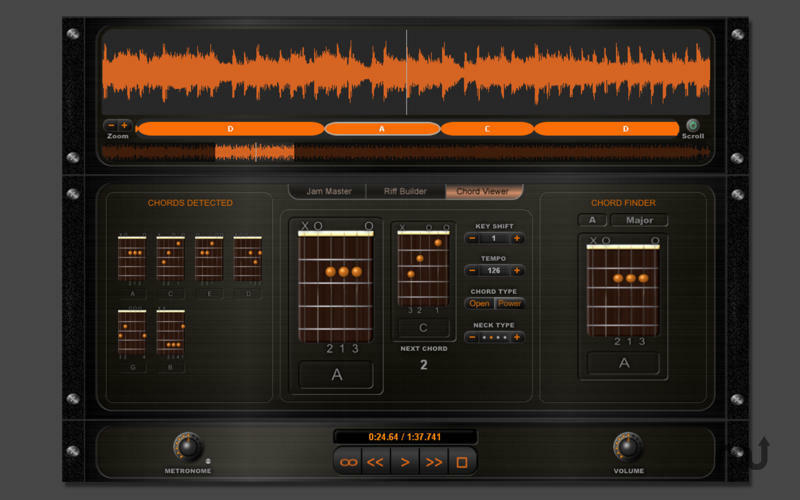 Riffstation detects chords for any song. It uses an "automatic chord recognition technology" to listen to the music and figure out the chords. It also shows when to play each guitar chord, in sync with the original music. The developer claims that software can detect major and minor chords with 80% accuracy. What is your favorite Riffstation Desktop hotkey? Do you have any useful tips for program? Let other users know below.